Director Damon Duncan's short film Cradle will have its Seattle debut at the Seattle Shorts Film Festival, November 11-13th, as part of the "Stars in Shorts" Block that features both Hollywood familiars and up-and-comers including Jacqueline Joe, the star and central focus of Cradle. 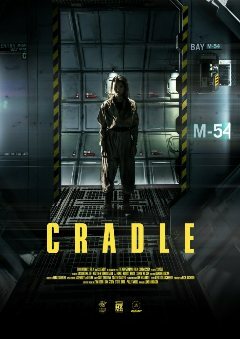 Both a thought-provoking and deeply moving film, Cradle tells the story of 14-year-old Eade (Jacqueline Joe), who is returning to Earth on the spaceship Cradle when an explosion cripples the spaceship and injures her father (Matthew Sunderland). With his directing debut, Duncan has crafted an exceptionally involving film centered around Joe's quietly transparent and compelling performance as a 14-year-old in an extraordinary circumstance who discovers things about herself and her family that help turn Cradle into that rare sci-fi short that satisfies both intellectually and emotionally. Ian McCarroll's lensing is bathed in a universal glow that is just a shade warmer than many sci-fi shorts, perhaps an indication that Cradle dares journey into the humanity of its story in a way that almost instantly makes you wish this film would have a larger life either as a feature drama or a regular series featuring the spot-on Joe. 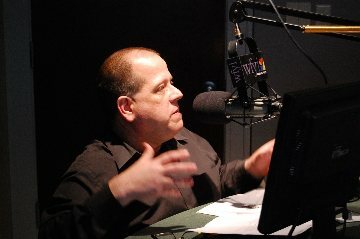 The film also benefits greatly from the presence of Rachel House, or at least her voice, in bringing to life the System's voice, a presence that has always and will likely always be referred to as a HAL-like presence but with vocal work by House that is entirely different and absolutely perfect for everything that unfolds here. Cradle is one of those short films that will show up unexpectedly in a shorts block and leave you absolutely enchanted. It's not easy to tell a satisfying story within the span of 15 minutes, but director Damon Duncan and screenwriter Hugh Calveley have managed to do so. For more information on Cradle, visit the film's website linked to in the credits or check out the Seattle Shorts website.